Character bird in Tarifa is the very rare Audouins Gull, which is more than elusive elsewhere. 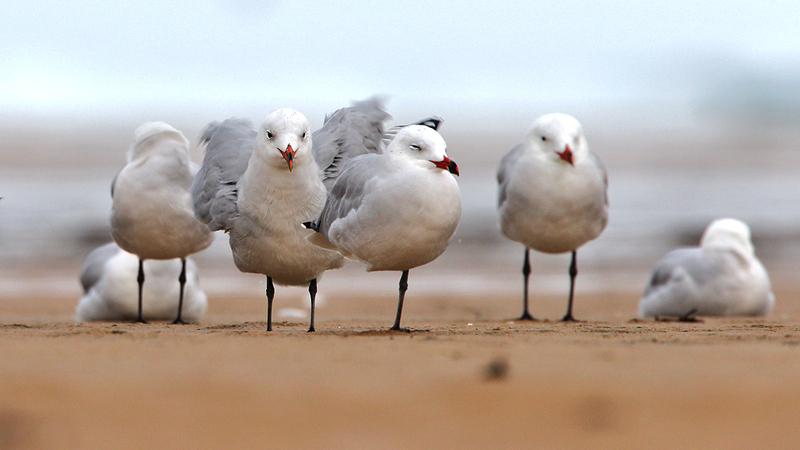 I was pleased to spend some hours with these handsome gulls. After all the individual travelling I have been doing this year the time had come to do something together with the family. We wanted to extend the Danish summer a bit, and ended up in Tarifa, the very southernmost tip of Europe. Tarifa is right on the Strait of Gibraltar, and gazillions of birds fly through here in autumn and spring. So I snuck my “new” 500mm on board the plane just in case… As it turned out, the photo opportunities were relatively few and far between, but some of the shots turned out rather nicely all the same. Besides the Audouins Gulls the Lesser Crested Tern is just about impossible to see anywhere else in Europe, but contrary to the gulls it is quite common elsewhere, outside of Europe, meaning the sensation is somewhat relative. The new 500mm is great – it hasn’t required any micro-adjust, and it accommodates the 1.4x extender much better than the 600 did. I don’t know if this is normal, but I am pleased to be able to shoot at 700mm (1120mm equivalent on the 7D mkII at f5.6) with a lens that is both lighter and slightly shorter than the old one. Most of the shots in this blog are from that very combo, judge for yourself if it works. Speaking of the 7D mkII it just keeps delivering, even when shooting diving gannets against the ocean – awesome piece of kit that one. As usual, click on the first image in the gallery to open up an image viewer, and consider hitting f11 if watching on a Windows PC. I like to watch images in Firefox because it renders colours better than the other browsers, if you don’t already then maybe you should. Sandwich Terns, with a Lesser Crested thrown in. Sardinian Warbler, female. The boys were there too, still in full breeding plumage, but they didn’t cooperate.